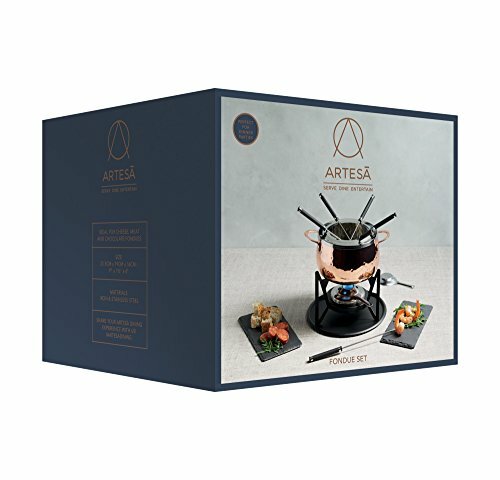 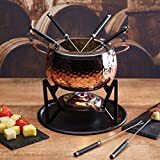 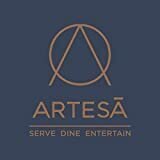 Ideal for people who love to entertain in style, this copper effect Artesa Hand-Finished Fondue Set has a stylish hammered finish that will add to the atmosphere of your dinner party. Whether you prefer a sweet or savoury fondue, it's a delightful highlight to any evening and encourages guests to chat while they dip in. 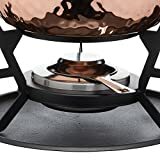 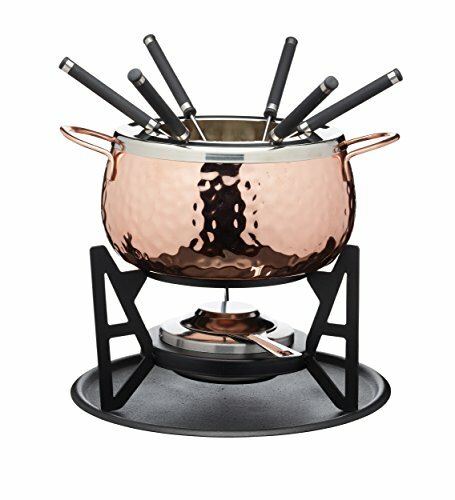 Includes stainless steel, copper-finished fondue pot, six forks, trivet, burner and diffuser. 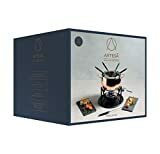 Gift-boxed. 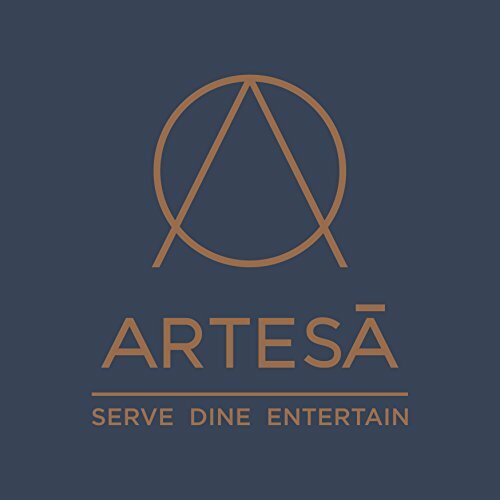 Marrying form and function in elegant harmony, the Artesà range of hand-finished serveware will complement any décor. 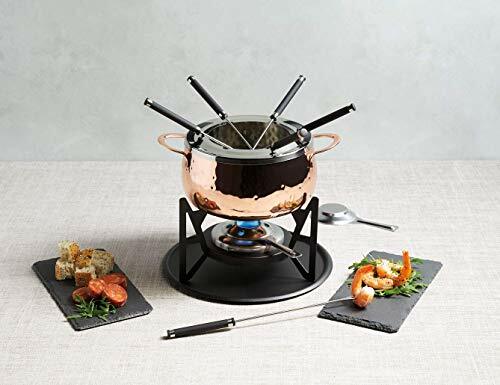 Combining tactile, naturally cool black slate, the rich tones of acacia wood and eye-catching copper-coloured accents, along with glass and porcelain pieces, the range offers contemporary rustic sophistication that will turn any meal into a special occasion. 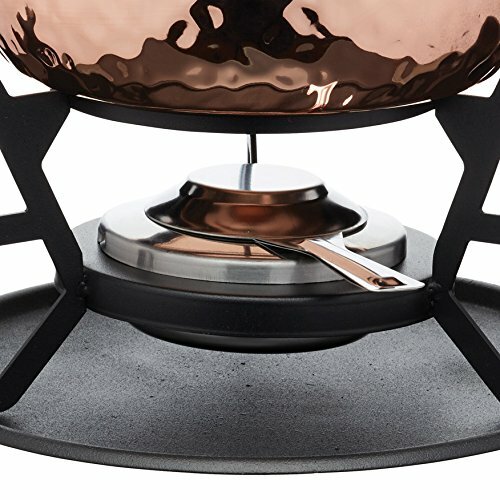 24 x 23 x 23cm H.